60,000 active users can't stop Zynga from putting PetVille down. Not too long ago, it felt like Zynga was on the verge of taking over the world. FarmVille was inescapable even outside the confines of Facebook. Parents looked at their children with a hungry gaze, like they were calculating how much Farmcash they could get for a fresh kidney. It was terrible. 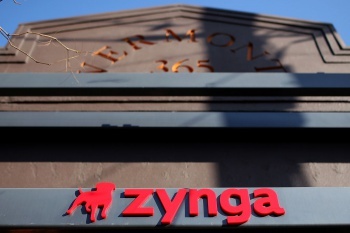 But now, just one year after Zynga's initial public offering, the dream is over. The company's shares have done their best impression of a submarine, dropping to $2.36 from an initial $10 asking price. Last year, the company had to lay off 100 employees, and a number of high-profile managers bailed in spectacular fashion. It quickly became clear that the company would have to go through some severe belt-tightening to stave off financial destruction. Last October, Zynga announced it would be "sunsetting" 13 of its older and less successful games. The surprising part is which games were chosen and how quickly they were taken down. Yesterday, players who tried to log into PetVille were met with a message informing them that the game is finished, and they should move on to one of the other ville titles. As recompense for murdering its user's virtual pets, Zynga is offering a one-time complimentary bonus package for one of a handful of other social games. PetVille was shut down despite some 7.5 million likes on Facebook and a reported 60,000 daily active users. Server costs aren't the issue, Zynga simply doesn't have the manpower to keep the title running. Mafia Wars 2, FishVille, Vampire Wars, Treasure Isle, Mafia Wars Shakedown, ForestVille, Montopia, Mojitomo and World Scramble Challenge have all either suffered the same fate or are about to. Montopia's shutdown was announced just three months after its launch. Oddly enough, the original Mafia Wars is being kept on in place of its sequel thanks to its larger player base. Facing increased competition in the Facebook market and shrinking public interest in "hands off" games like FarmVille, Zynga is looking to mobile markets and real-cash gambling to keep itself afloat.